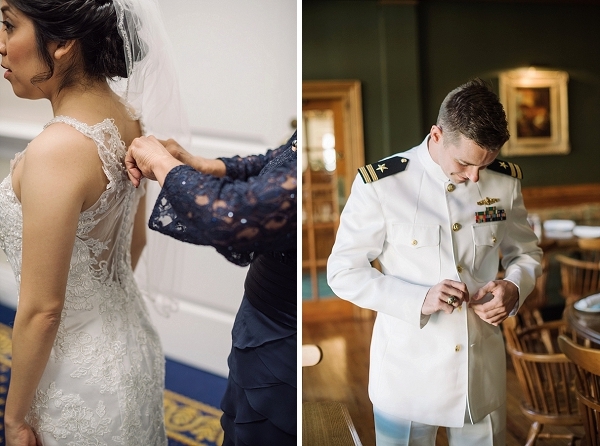 Cade and Diana's story begins on their first day aboard the USS Gonzalez when they met as officers in the Navy. 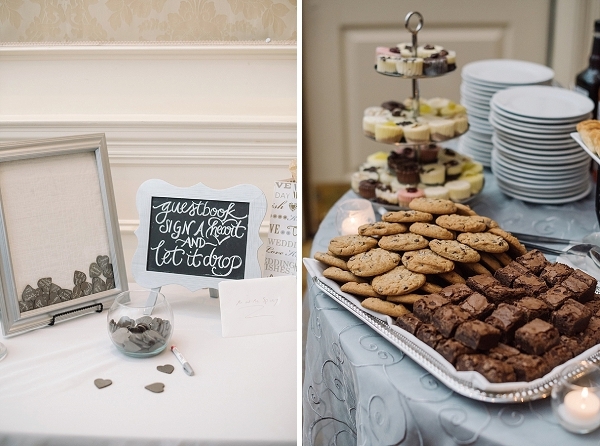 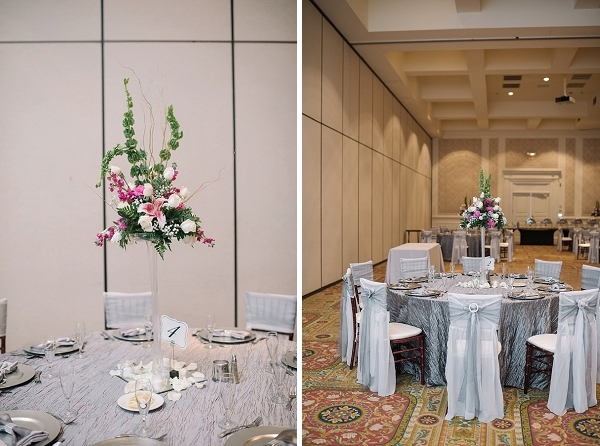 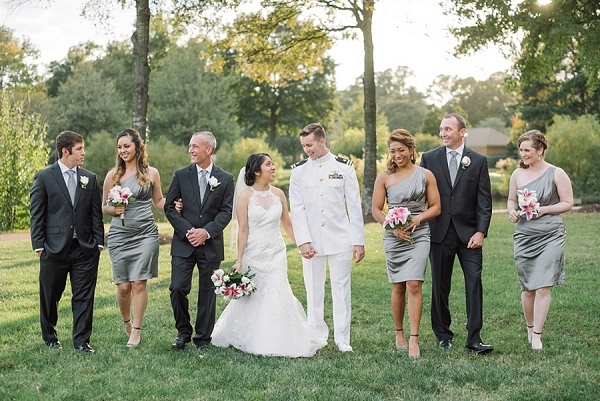 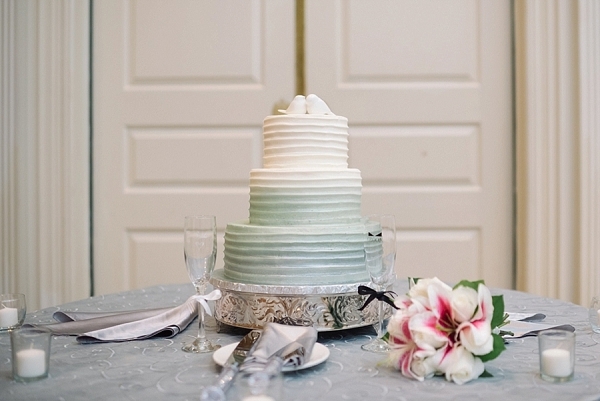 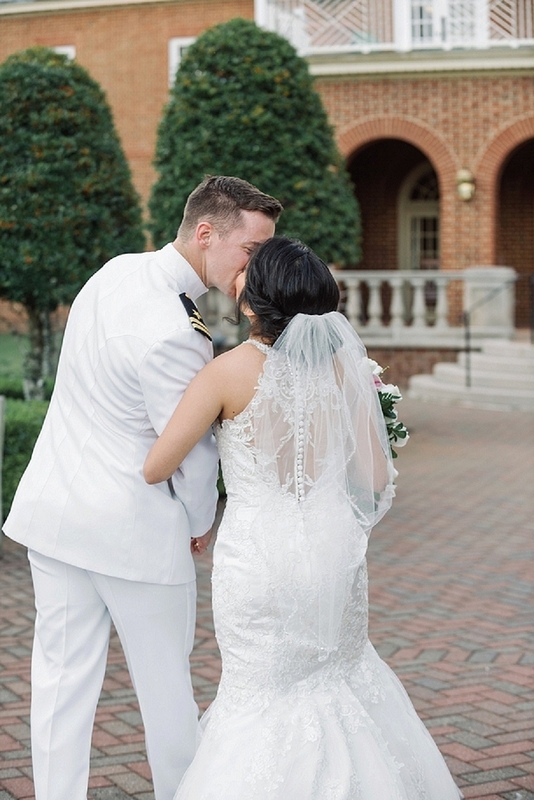 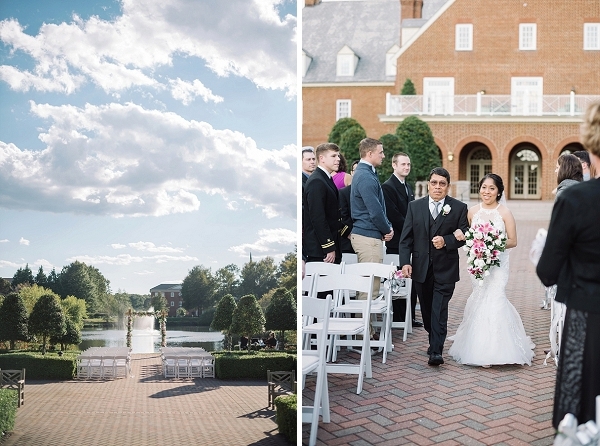 Since the Navy and Virginia Beach were the catalysts that brought these two together, they knew that they wanted a local wedding at the Founders Inn. 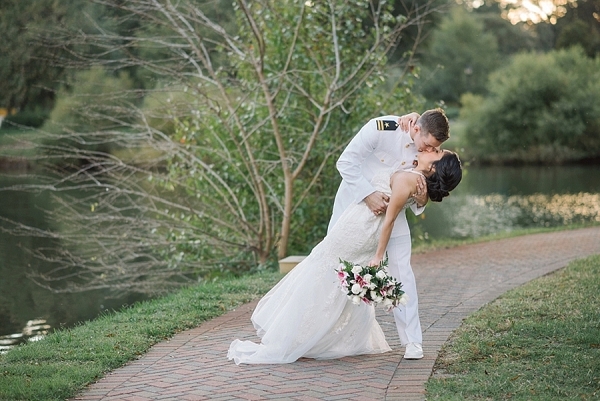 As with all military love stories that are full of ups and downs, Diana even found herself out to sea until just seven days before the wedding! 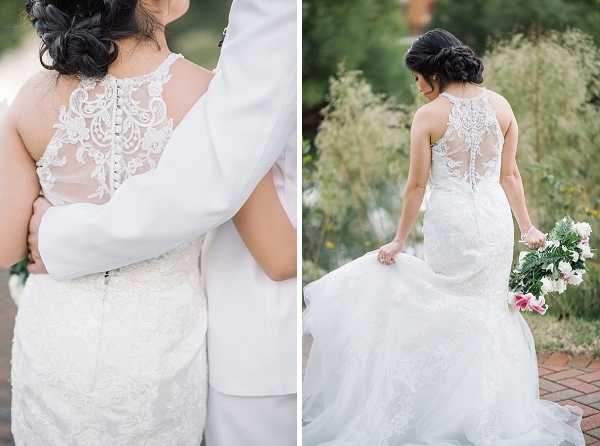 Yet everything was arranged beautifully for when she came back, from her gorgeous mermaid bridal gown to the elegant touches that echoed her Mexican heritage. 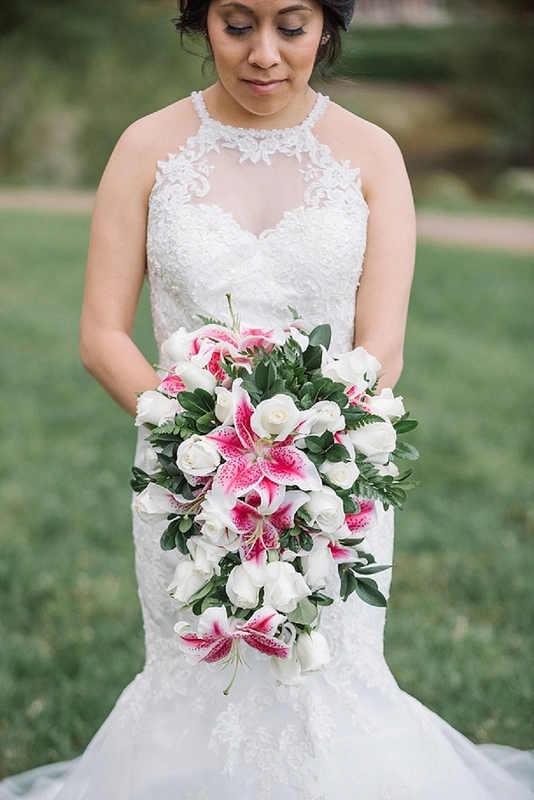 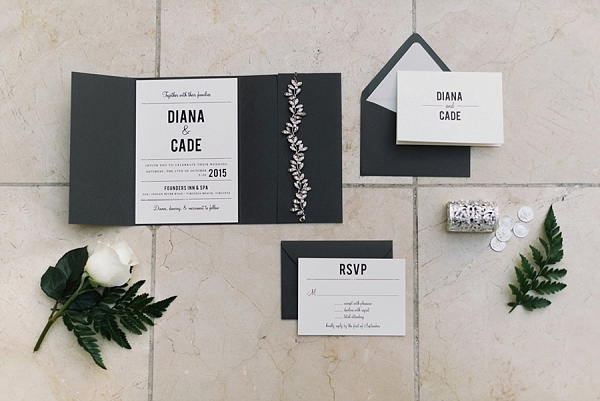 Captured by Karyn Johnson Photography, we love that they wove classic wedding details such as a cascade bouquet with stargazing lilies along with the families' rich Catholic history in shades of fuchsia, silver, and black. 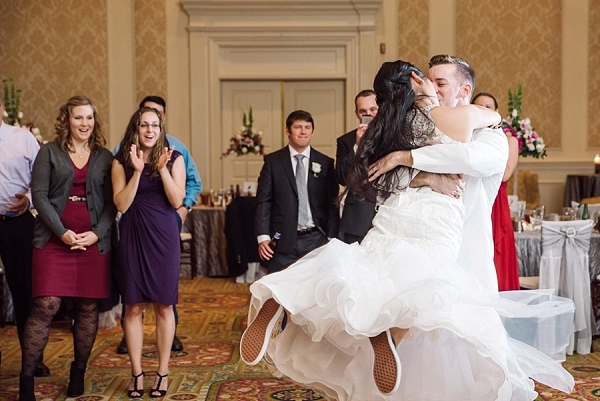 In front of their closest loved ones, the bride and groom exchanged vows with Mexican wedding traditions in mind such as the Wedding Lasso and the Arras (or "13 coins"). 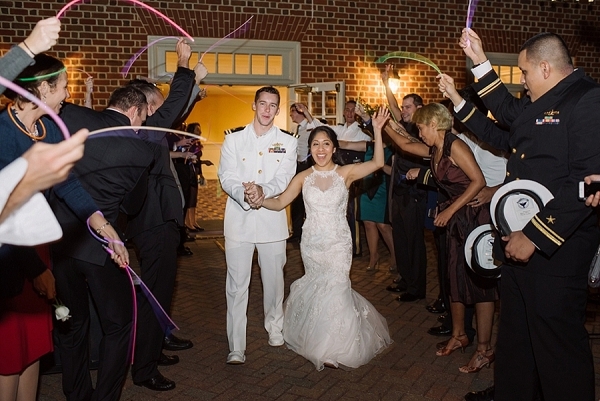 Ending with a romantic last dance and a fun modern glow stick parade, Cade and Diana's day paid homage to their careers, family, and their future together.